I don't want to ruin the surprise for anyone who wants to be surprised so look away. I'm so happy and lucky to have 24 swap partners in Amy's most amazing swap! 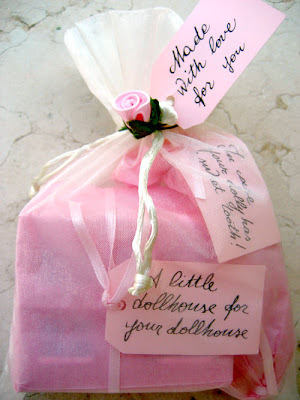 I am sending both the little dollhouses and candy machine for each of my partners to get. This was a lot of fun and I can't wait for you to get them. They should arrive at Amy's door any day now. fabulous! i want one. 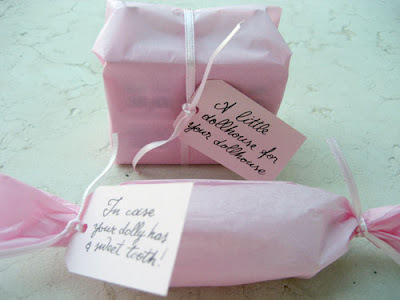 what pretty little gifts you have made. 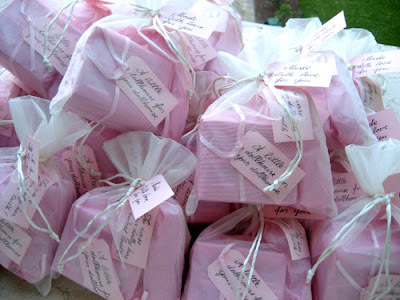 Your packaging is the most gorgeous shade of pink! I love your littles and I truly need them too. Amy, I love everything I've seen so far. Be sure to send me one of each. I know I've signed up for only 12 but I'll be needing one of everything. Probably most everyone is feeling the same way too. Maybe we'll all have to get together to play with each others treasures. Everything is so darn cute. Oh my goodness! Those are amazing. Rosanna from Italy?? 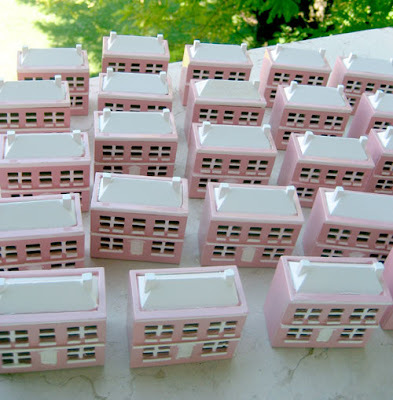 How adorable these pink dollhouses are. What a wonderful idea. 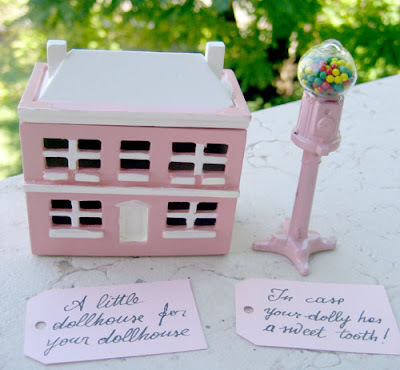 I've been looking for a dollhouse for our dollhouse for a few years. I wish you had a blog. 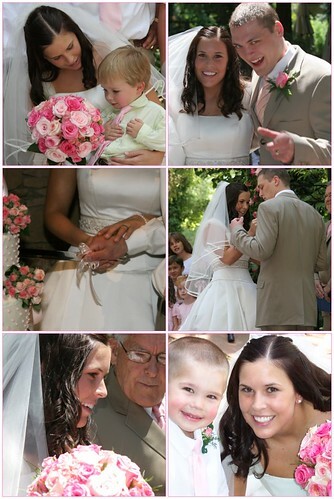 Amy has shared beautiful photos from your amazing home. Love the pink gumball machine too. oh wow!!!! Those lil houses are so amazing! What a treasure! Rosanna! These are the cutest sneak peek yet! You are the famous friend of Amy's that we hear so much about... and we are all practically drooling about the fun littles you are sending this way! 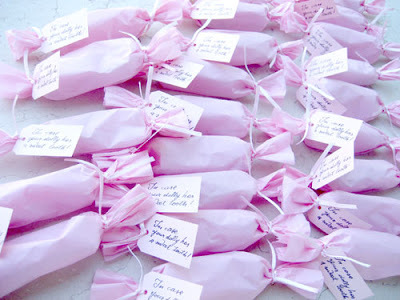 Oh Rosanna...I am crossing my fingers hoping I get one of those yummy pink packages! My little mother was Italian and I have a cousin named Rosanna...will that help me?